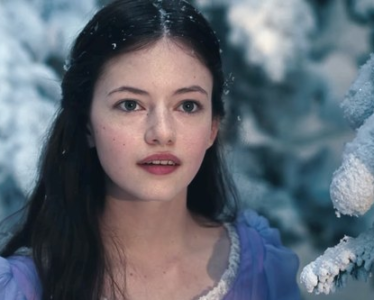 Last December, it was reported that The Chronicles of Narnia: The Silver Chair director Joe Johnston had been brought on board to direct reshoots for Disney’s The Nutcracker and the Four Realms. The reshoots were scheduled to span only thirty-two days, but it now appears that Joe Johnston may have had a greater impact on the final cut of the film than previously thought. According to The Hollywood Reporter, Joe Johnston will be credited as co-director with original director Lasse Hallstrom. This announcement signals a very unusual break from protocol in the film industry: the Directors Guild of America mandates that only one person may be credited with directing a film, unless a directing team has a past history of working together or shares a common vision. I watched an early cut of The Nutcracker and the Four Realms, and I saw something unique and fresh. When I was asked to direct the remaining elements, I saw an opportunity to complete Lasse’s wonderful and wildly inventive vision. I know we’ll both be proud of the end result. It was an absolute blessing to have Joe Johnston step in when it became clear that I wouldn’t be available for reshoots. Joe is the ultimate expert in visual effects and I enjoyed collaborating with him on this film. So was he just working on the reshoots or is he working on post-production as well? if he is than that could be pusing Narnia back. According to the original report it was just the reshoots and Lasse Hallstrom is overseeing post-production. I hope he wasn’t putting Silver Chair back. I understand the need to finish the present job to clear the way for the next job. But I do need to hear news of Silver Chair soon. As do most of us, I guess. According to wikipedia joe johston hired and Indian Fella called Arpit Sadh. Spivvins was one of the bullies of the experiment house who made Eustace and Jill go into Narnia in the SC. Less than 25 days until the pre-production announcement for the Silver Chair! (hopefully)My countdown, as you can see, has been moved to this post. Thanks Glumpuddle for the official approval! Trailer looks awesome, but because of reshoots, I can’t help but wonder how much of that footage will be in the final film, as has been the case with many recent films that had reshoots. Less than 23 days! Who wants to wait patiently when you can get excited? That’s half the fun of waiting! 23 Days until we MAY get an announcement that THE SILVER CHAIR movie is starting production – with a solid release date. Director Johnston stated months ago he would start prepping the film in MAYBE JULY. We’re geeks about this movie getting started. Whom ever is cast to play Peter, Susan, Edmund and Lucy in The Last Battle need to be 22, 21, 19, 17 Years Old, like in the book. If you release The Horse and His Boy like 5 Years Later, then they can reprise their roles when they are 27, 26, 24, 22, like in that book. 2. Less time in between returns. After the 1st one, the filmmakers can take their time developing the 2nd and 3rd films, without having to worry about Eustace and Jill getting too old to reprise their roles in The Last Battle. It’s like the books: Eustace and Jill are 9-12 in The Silver Chair and 16-19 in The Last Battle. 1. The Problem of The Horse and His Boy. The Horse and His Boy is a great stand-alone adventure story. But it’s inessential as part of a trilogy, and notoriously controversial. More so than The Last Battle, in many respects.The filmmakers might want to wait before committing to The Horse and His Boy, a story deemed racist (and sexist etc) by more than a few people. I can’t completely disagree. If the other 3 films (including The Last Battle) are successful, then we might get to this one. Otherwise, they’re saving the most problematic for last. I really don’t see how Last Battle is any less “racist” than HB the Colormens are literally invading Narnia and they actually succeed for a while. People who are offended by HB will be just as offended by LB. I don’t see any sexism in HB either. Aravis bucks the role her society gave her (no pun intended) but she doesn’t blame Las for being a girly girl. She respects her she gets annoyed with her of course but she still lets Las live her own life. Remember the whole point of Colormen is that it is Narnia’s polar opposite. In Narnia women are free and never forced to marry someone they don’t love as Hwin pointed out. In Colormen, the opposite of Narnia, women are expected to do whatever they are told. Less than 22 days! Wow, I think your trilogy idea could be right, JFGII. (Although the only problem I would have is that the HHB being released after the Last Battle might cheapen the finality of the end of Narnia.) BTW happy cow appreciation day everyone! Oh, does anyone know why Narniaweb changed their logo to a drawing? Maybe the lion picture was copyrighted? I think the original might have been a picture of the New Zealand zoo lion they based Aslan off of but I’m not sure. If it was, they might have wanted to avoid any copyright problems. AJAiken, who is also an editor on the podcast, designed the new lion. Hope you like it! I’m glad to hear that. Thanks! OK just thought I’d ask. Less than 21 days until production begins! (Hopefully)Here’s a question: If Douglas Gresham continues his tradition of making cameos in the Narnia films, who do you think he will be in The Silver Chair? Less than 20 days until! I intend to hold on! Less than 16 days! Hang on…. I’m gonna keep Praying that it will happen this summer. Less than 14 days! I’m gonna be busy over the weekend so I’m gonna post my countdown for those days now. Thursday: Less than 13 days! (Assuming nothing happened. )Question: If Cleander spends 30 seconds on Narniaweb for 30 days, how much time has Cleander wasted? Friday:Less than 12 days! Answer: NONE. Narniaweb is not a waste of time! Sunday: Less than 10 days! Hey, I’m back! (I see not much has changed.) Anyway, here’s my countdown for today – less than 9 days until! You do realize that a countdown will make it more depressing if the announcement never comes? Of, course I realize that… UNLESS another countdown begins after this one ends without seeing anything happen…Maybe other people could start doing countdown comments as well! After all, we’re all waiting for this thing together, right? It’s really encouraging to keep seeing your posts. I hope we get news soon! OK, you know that "feeling"? Turns out there was a bug in my pants. Check out the next post for my next countdown comment! Because I want to do it. Ps: Does the page of Joe’s sketches Is His real page? What was the feeling that Cleander mentioned before? There are new news about the cast?